The following Rules for Safety are provided to help ensure your event is very fun and enjoyable, but also provides a safe atmosphere for the ponies. * Please watch your children AT ALL TIMES! There can be no hitting or being mean to the ponies. * Running around or behind the ponies is strictly prohibited! * Keep hands from around the mouth and there should be no food or drink around the ponies. * No balloons or bags around the pony as sudden noises could startle the ponies. * Parents are welcome and strongly urged to walk next to the ponies while their children are riding. * Our ponies are led by experienced handlers. At no time will the ponies be unattended. Please follow the handler’s instructions carefully. * Weight limits for pony rides is 100 lbs (for the largest pony). * Shoes must be worn around the pony at all times. Sandals are not recommended. 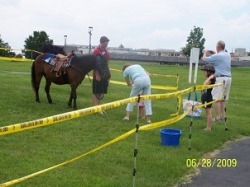 * We recommend any family pets be kept inside during the pony rides as they may not be used to being around the ponies. 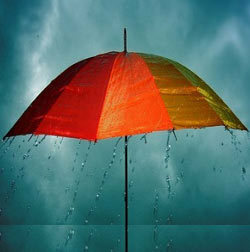 Inclement Weather is always a possibility. We will call you the night before your event to confirm the details. If there is a possibility that weather may be a factor we will discuss options, which may include, rescheduling, delaying the ponies arrival if scheduling permits, or cancelling the event. There is a great deal of preparation involved in getting ready for the party. But, ultimately, if you decide the weather is going to prevent the guests from enjoying the pony rides, then there are two options. 1. Reschedule the event for another day that is available. 2. Cancel the event and forfeit any deposit that was made.